@KathrynCartini, Multimedia Storyteller, Sharing Stories for Upstate Venture Connect. 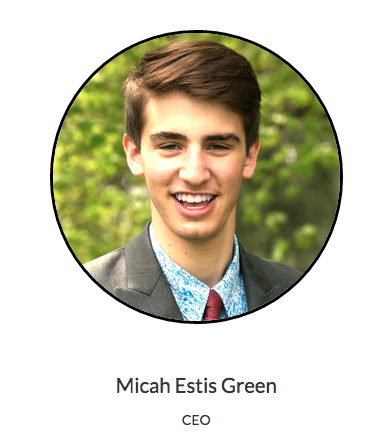 Micah Green and a team of Cornell University students have been hard at work creating the first housekeeping robot for hotels. Green started working on the venture that introduces automation into the hospitality industry in an effort to reduce costs and injury rates at hotels. Maidbot robots clean the bedroom, bathroom and hallway floors completely and autonomously, which can save hotels an estimated $9,000 per unit. Green says there are three huge issues in the hotel industry: Housekeeping has been the highest variable cost for decades at hotels of all scales; housekeepers have a high rate of injury; and there’s a lag of innovation, all of which has lead his team to develop Maidbot as an efficient solution. Now backed 10 other brilliant Cornell students who major in entrepreneurship, as well as mechanical, software and electrical engineering, each team member has a special focus from 3D printing and circuitry to CAD design, helping make Maidbot a startup innovation. Different from iRobot’s Roomba, Maidbot has a longer battery life, and can store dirt from up to 20 rooms. In the future, these housekeeping robots for hotels will deliver an algorithm to outline a clear path for super efficient cleaning. 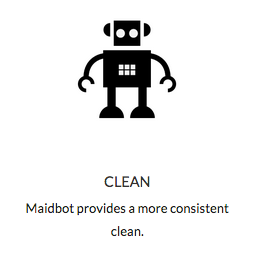 Recent data already shows Maidbot takes only 7 minutes to clean a room. Maidbot was one of 8 groups that participated in the LaunchNY Startup Pitch Competition held at The Tech Garden last week. 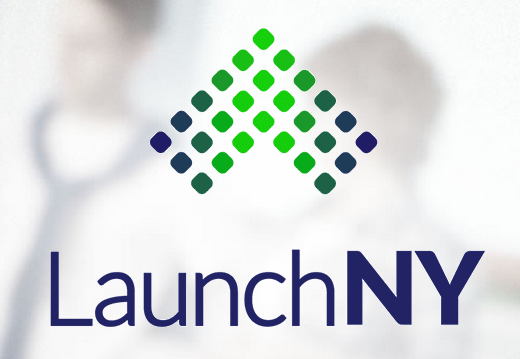 Launch NY is a nonprofit venture development organization on a mission to identify, support and invest in high-growth, high-impact companies in Upstate New York. Headquartered in the New York State Center of Excellence in Bioinformatics and Life Sciences in Buffalo, with field office in Rochester, Syracuse and Ithaca, LaunchNY also partners with other organizations like The Tech Garden to sponsor, inform and educate entrepreneurs in the Upstate region. Bob Kot is one of the Entrepreneurs-in-Residence (EIR) at LaunchNY. He was a guest judge for the competition and explained why Maidbot stood out as a shining startup deserving of the prize. “While all of the entrants had well thought out value propositions, it was the strength and diversity of Maidbot’s advisory team that stood out,” said Kot. Using Maidbot as an example, Kot continued with advice to all early-stage startups pursuing new ventures by advising each interview potential customers, find what pain they have (not what you think they have) and how you can develop a solution to their pain with their assistance. Kots also noted that based on his experience, approximately 90% of technology startups fail in the first three years. His goal as an EIR with LaunchNY is to dramatically reduce this risk of ‘infant mortality’ and ensure that the Upstate Startup ecosystem becomes more robust and vibrant. Maidbot is currently operating out of REV in Ithaca, a new business incubator that offers entrepreneurs a place to grow their business using financing from the State of New York and other local educational institutions. By harnessing these resources Green says Maidbot has already received enthusiasm from several other high end hotels. Maidbot plans on piloting their robots at local Ithaca hotels in September, with a nationwide test program on the docket for the middle of 2016. Micah says the prize money will be used on 3D printing different types of soft materials the team may use for the robot. This will help advance Maidbot through the testing phase, which will help solidify what materials are used as an end result. HoverStat is a company using smart drones to assess roofs for solar placement. Bob Kot said HoverStat’s approach to automate and reduce the accident risk of roof sizing for solar installers made them a standout startup in the competition. 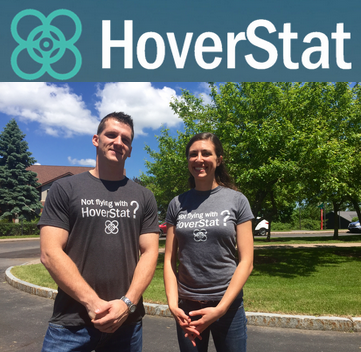 HoverStat is currently participating in the StartFast Venture Accelerator program held at the Madden School of Business at LeMoyne College. StartFast’s Demo Day is set for August 13. You can learn more about the teams by watching their stellar weekly recap videos on YouTube. Skinny Eats – The maker of 15 calorie whipped salad dressings and dips, SkinnyEats uses aerosol technology to produce the lowest calorie, real cream based salad dressing product on the market today. Already sold in over 300 grocery stores, the company is expanding into a new manufacturing facility in Binghamton, NY. Lilo, Inc. – Reinventing the way people hydrate, Lilo used a patent from the Air Force Research Labs to found a unique and sporty water bottle. Environmentally friendly and fun, Lilo water bottles were designed to an extension of your body. Each bottle also include a storage compartment for keys and other essential on-the-go items. 365 Connected Health – Based in Syracuse, NY, 365 Connected Health was founded by a nurse on a mission to bring tailored medical information and understanding to oncology patients through an easy-to-use hardware and software platform. Wisefork – A mobile app that provides users with healthy meals from area restaurants. Wisefork specialists work with restaurants and nutritionists to locate healthy food options, categorize them by popular diets and generate macro nutritional data. Mogee – Animated moving emojis in your messenger that let users express themselves in fun and sarcastic ways. Mogee is already available in the Apple Store, providing simple human expressions that are universally understood. 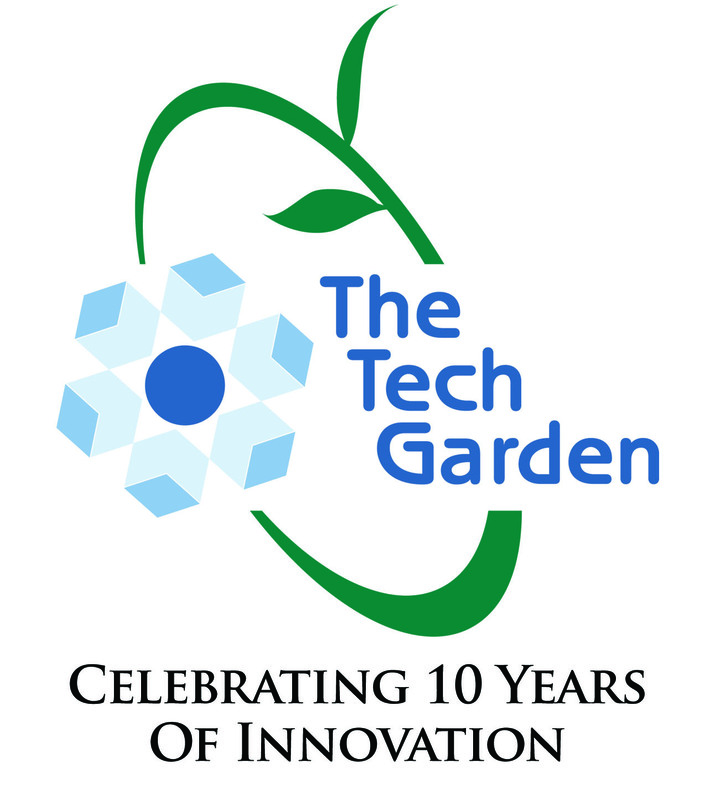 As part of The Tech Garden’s Decade of Innovation Celebration, and due to the amount of highly qualified candidates who applied to be part of the Launch NY competition, the following startups also were selected to present 1-minute pitches for a $100 prize -> Electro Beats Apparel, Food Fax, Truxx, SkySkarf, SongStax, Electronic Gaming Federation, BitReady and SageMyLife. If you’re an aspiring entrepreneur looking for a jumpstart, connect with the startup specialists at Upstate Venture Connect to receive information on the education, mentorship and funding available in your area.